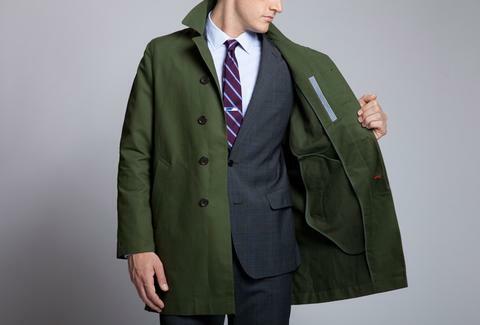 Gone are the days of having to choose functionality over style thanks to this water-resistant cotton trench coat from Bonobos. 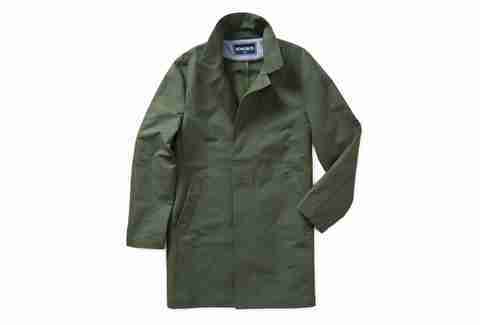 The Shamus is made from specially treated water-repellent cotton and features a covered front placket, a contrast under-collar, a single back vent, and lining through the sleeves for easy removal. 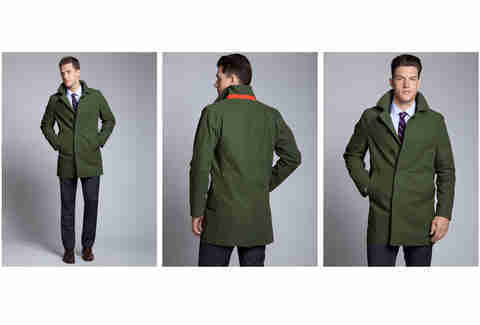 It is designed to fit flatteringly over a blazer as to not lose shape and is available in green, navy, and khaki. 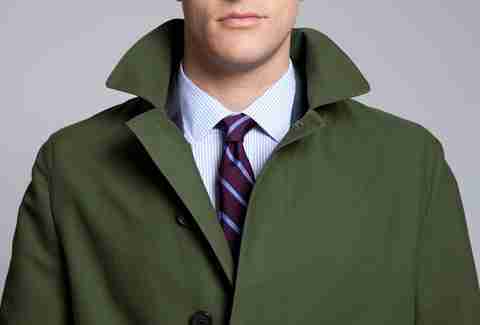 This sharp, all-weather outerwear is sure to make a man of any stature look more than respectable both in and out of the workplace.